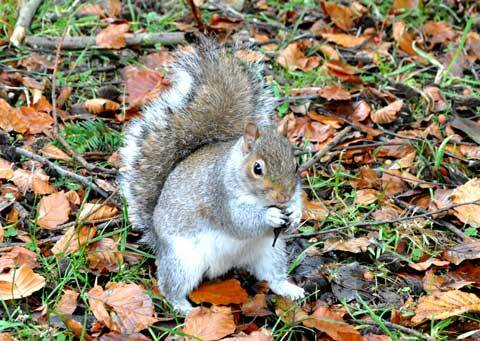 This squirrel has nothing to do with the exhibition but before we went to the Williamson we took advantage of the pleasant Autumn weather and walked round Birkenhead Park and saw loads of grey squirrels. The place looks great just now. So, up the road at the gallery there are three new exhibitions. ‘Above the Clouds’ Mallory & Irvine and the Quest for Everest. This should be of interest to any climbers. An Exhibition of jewellery, sculpture, and artwork inspired by simple ideas transformed into beautiful and exciting pieces for display and for sale. 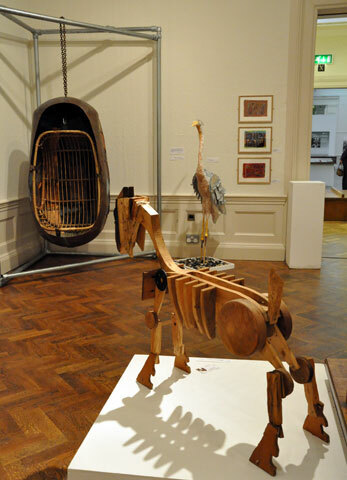 This collection of unique traditional and contemporary work was created by part-time students and staff on the 2007/9 BTEC Art and Design Course at Wirral Metropolitan College, who have come together to exhibit and market their own work. The pieces include jewellery created from silver, gold, copper, titanium, plastic, paper and polymer clay, and sculpture as varied as a wooden goat, a ceramic corset and a bumble bee. Many display a great sense of fun. 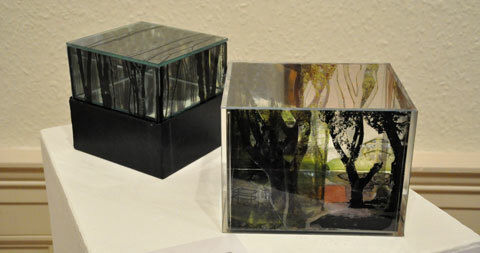 There are also paintings, collage, drawings and glass. Theresia Cadwallader has done an excellent job of curating this show and packing a lot of work into one of the smaller gallery rooms without making it look cluttered. Paul Bearman’s large drawings of cattle dominate one of the walls and there’s also an animal theme to many of the sculptures. 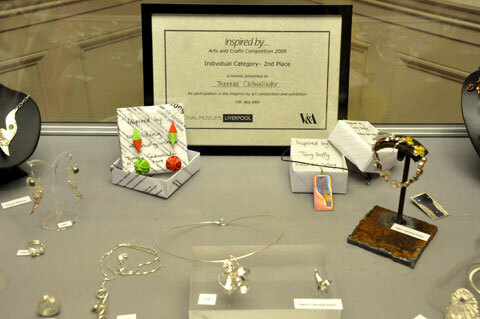 There is a lot of excellent jewellery showing off some of the many different techniques taught at the College. Many pieces are for sale.